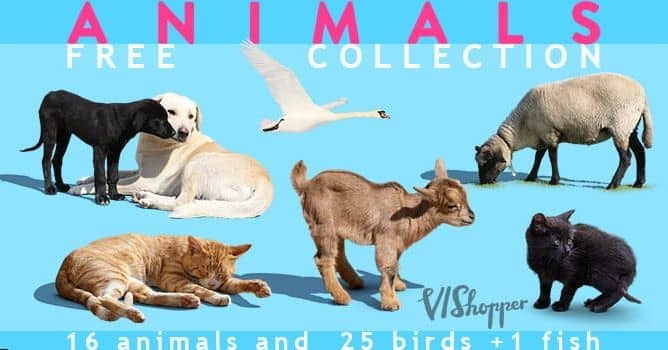 21 files with diffferent cut out animals. 7 dogs, 5 cats, 2 swans, 6 doves, 3 seagulls, 14 geese, 2 lambs and 2 goats, plus bonus ! - a dead fish ;-) .